Description: The secret behind France's astonishingly well-behaved children. 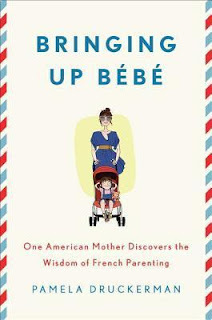 When American journalist Pamela Druckerman has a baby in Paris, she doesn't aspire to become a "French parent." French parenting isn't a known thing, like French fashion or French cheese. Even French parents themselves insist they aren't doing anything special. With a notebook stashed in her diaper bag, Druckerman-a former reporter for The Wall Street Journal-sets out to learn the secrets to raising a society of good little sleepers, gourmet eaters, and reasonably relaxed parents. She discovers that French parents are extremely strict about some things and strikingly permissive about others. And she realizes that to be a different kind of parent, you don't just need a different parenting philosophy. You need a very different view of what a child actually is.While finding her own firm non, Druckerman discovers that children-including her own-are capable of feats she'd never imagined. "I hadn't thought I was supposed to admire French parenting. It isn't a thing, like French fashion or French cheese. No one visits Paris to soak up the local views on parental authority and guilt management. Quite the contrary: the American mothers I know in Paris are horrified that French mothers barely breast-feed, and their four-year-olds walk around with pacifiers." "It becomes clear how French our kids' eating habits have become when we visit America. My mom is excited to introduce Bean to that American classic, macaroni and cheese fro a box. But Bean won't eat more than a few bites. "that's not cheese," she says. I think I detect her first sneer."